Do you ever feel like you are spending a lot of time on Instagram, yet you can’t tell what’s working and what’s not? As is true with other marketing concepts, you need to have a strategy in place, and a good strategy is a flexible one. In order to find out what adjustments you need to make, try an Instagram audit. 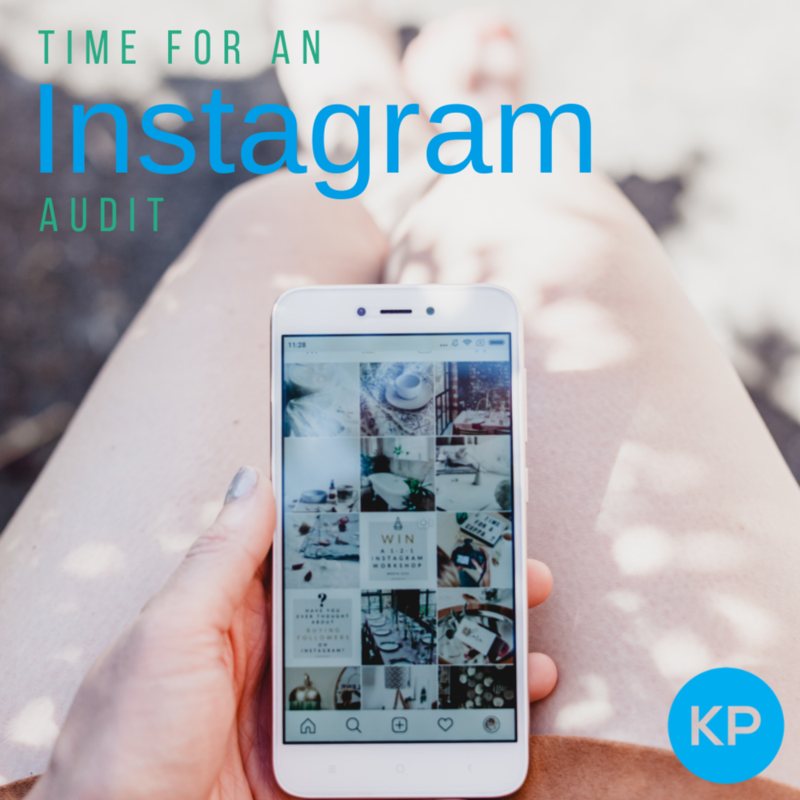 An Instagram audit may not be the most fun thing to do, but it will ensure that you are working as effectively as possible. It will help you determine whether or not you’re meeting your business goals, and it will give you the chance to tweak your Instagram to stay on track. If you don’t know how well your Instagram strategy is working, you risk spending valuable time on a pointless task. Here are the steps we recommend an Instagram audit. Take a moment and think about what your Instagram goals are. Do you want to build brand awareness by increasing the number of followers you have? Or maybe drive sales with Instagram ads? One mistake you can easily make is to set no goal at all or to set too many goals at once, which will make it hard to tell what is working and what needs to be changed..
Less-than-stellar Instagram goal: I want to increase brand awareness. Great Instagram goal: I want to increase brand awareness by utilising brand specific hashtags, creating content about who we are as a brand, and by building brand content themes. Your personal Instagram account will often differ greatly from your business account. Keep in mind that you are conveying a particular image to your followers, which will match how you want people to view and understand your business. You might want to come across as approachable, laid-back, and friendly or you may go for a more polished professional look. When you are doing your Instagram audit, look at your account and take note of your profile, language used, color scheme, and types of images used. Are your captions, hashtags, and interactions consistent? You want to do everything you can to maintain brand and tone consistency. At the end of the day, your Instagram should be in line with the rest of your company’s marketing channels. A person who has been in your business (or to your website) should be able to recognize who you are based on your account and vice versa. Take a look at our website and Instagram. What do you notice about the two? Similar color scheme, identifiable font and use of logo in content. Most people think that a business’ feed that makes the first impression on Instagram, but it is really the bio that first grabs attention. This is prime real estate, so make sure every words counts (and you really are limited at 150 characters). Make sure these words match your tone and the rest of your social media accounts. The words don’t have to be exactly the same, but the basics should be. This sounds difficult, but just think about what your brand really means. Keep it simple, keep it consistent, and convey your brand’s message at its core. Double check that all of your information is up to date (phone number, address, website, logo, etc.) and that your account is setup as an Instagram Business Profile. Is your username relevant to your business name? If not, update it. You want to match the name you use on your other profiles, and also be easy to find. Has an avatar → your photograph based social account better have a profile pic! Include a link → this is the only place in Instagram you can post a clickable link. Whether you keep it as your website or update with a landing page for sales and promotions, make sure you take advantage of this option. Include contact into → you are now using an Instagram Business Profile, so your email, phone number, and address are all clickable! Instagram posts are a lot more than whatever random image pops into your mind. Your content should be varied, but have a consistent visual strategy. Your posts should have a similar look and feel to them, including the type of language used in the caption. Ultimately, your posts should come back to the current marketing goals you are pursuing. How do your recent posts stack up? Do they tell a story? Do they follow similar branding and aesthetics? Take a look at one of our clients, U See It, a company that provides college tours, prep, and information for students. Their posts are centered on topics that drive students toward success in college, whether its maintaining physical health or accomplishing educational goals in competitions. By maintaining their visual strategy, they remain consistent and recognizable to their followers. Another client of ours, Williamsburg Chiropractic, uses similar fonts, language, and color scheme to tie together their posts. The message is consistent, the branding is clear, and the focus is on a narrow range of subjects. As much as you want to follow your theme, you also need to have some variety to your posts. If you are running a restaurant’s Instagram account, you don’t want to only post about lunch specials. Include signature menu items, cocktails, and staff photos. Not only do you need to vary what you post, but also how you post. When you post photo after photo, you miss out on the opportunity to increase your engagement rate, especially when you can easily upload stories, videos, boomerangs, and gifs. Remember to check that your posts are consistent, varied, and everything from photo to filter to caption is line line with your brand. So you’ve determined how you can improve your content in this audit, but are you promoting it? You don’t have to spend money on ads to grow your reach. Hashtags, geolocation, and tagging other brands/users can help grow your exposure and get your content seen. You can use up to 30 hashtags, but you should aim for at least 10. Websites like Hashtagify can help you determine which hashtags to use, and you should create at least one hashtag that is unique to your brand. Geolocation and tagging can also help you attract more followers to your Instagram, so be sure to use these features in your posts. Promoting also includes interacting with your community. You appreciate when other local or similar businesses like and comment on your content, so share the love! Have you responded to comments and DM’s from your followers? Are you liking their posts? Don’t just broadcast who you are from your own content - share others as well! The more positive interactions you have, the more favorably people will look upon your brand. Now that you’ve taken a good look at your Instagram account, you can work toward improvement. Need more tips? 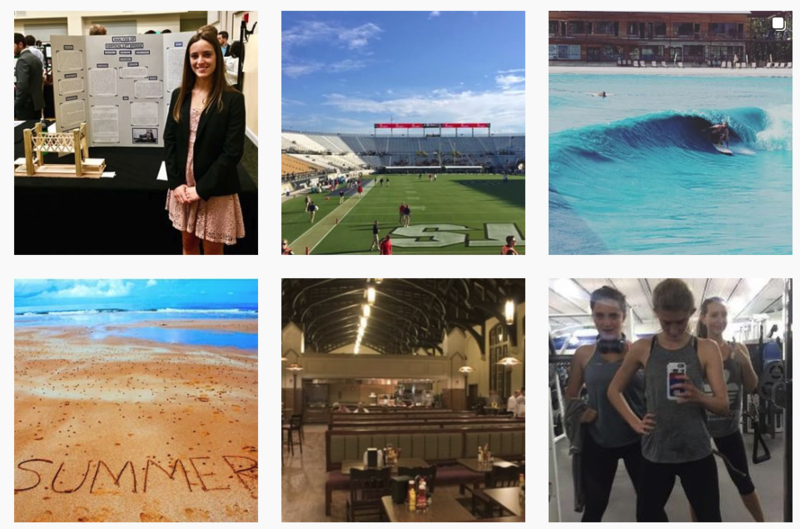 Check out our Guide to Instagram Marketing!